From folklore to poems and nursery rhymes, these diverse collections offer readers a host of traditional fare. 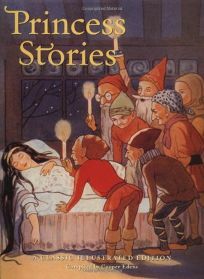 Vintage illustrations add royal magic to Princess Stories: A Classic Illustrated Edition, compiled by Cooper Edens. The eight standards include ""Cinderella,"" ""The Princess and the Pea"" and ""Sleeping Beauty."" As with Edens's other compilations, the illustrations here (taken from 19th- and 20th-century sources) hail from the best of vintage paintings and also incorporate fairy-tale-familiar pen-and-inks in a Germanic style. .